What do you do when you can't save the one you love? Kipton's one year away from graduation. He's never thought beyond a one night stand until meeting his sister’s new roommate. Finally setting his sights on the girl he can't resist, he's more determined than ever when she won't give in to his persuasions. He's always gotten the girl, and he's not about to give up without a fight. Lighter isn't your typical college romance. Darkness suffocates, dreams are dashed, and battles are lost. Love takes on a whole new meaning. Thank you to Author Gia Riley for supplying a copy of the book for an honest review. I love when I find books that have a deep message to them and that are a different storyline than what I normally read. In this books case, it found me and I am happy it did. 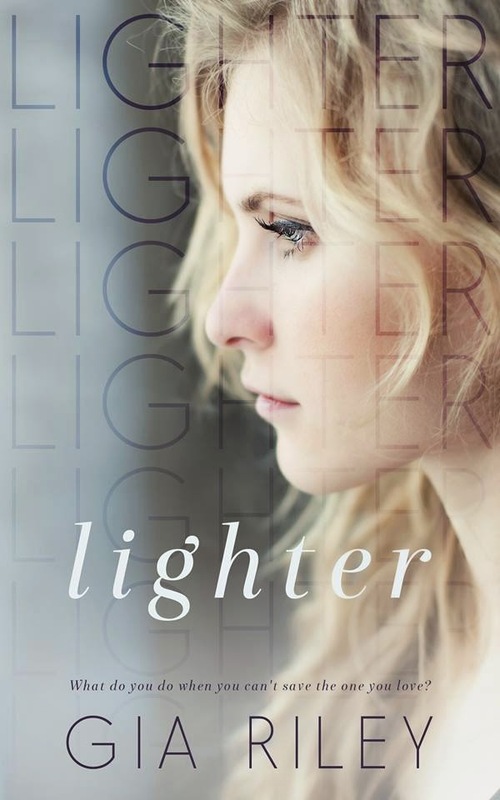 Lighter is a heartbreaking story. I’m not going to lie my chest literally hurt at times throughout this book. Sophia is a broken girl, she had a rough life growing up and has never really felt loved. In order to get through life she has found a way to cope with things but as everyone knows sometimes the things that help us cope are not the things that are good for us. Starting fresh at college she meets her roommate, Cara who turns out to be a wonderful friend. Will this new start help Sophia finally begin to heal? Kipton is Cara’s brother and is just amazing throughout this book. I loved him right from the beginning and didn’t stop the entire time I was reading this book. He is the popular, good looking guy that all the girls on campus want. He is smitten with Sophia immediately but he also isn’t aware of all the secrets she is hiding. Will he be the one that can save her? This story was beautifully written and it will touch your heart in many different places. Although it is heartbreaking at times it is also an amazing story about the power of love and how it can heal. Lighter will having you wanting to reach in it and hug the characters. It will having you feeling so much sympathy for them and you will think how much more can one person take but then it will start to mend your heart and put it back together and when this happens it is truly a beautiful feeling.